Partner, Weissman Zucker Euster Morochnik P.C. Scott Zucker specializes in business and commercial litigation with an emphasis on dispute resolution in the areas of construction, real estate, employment, landlord-tenant and franchise law. Scott represents companies in matters relating to contract claims, loss and damage claims, delay and productivity claims, premises liability actions and tenant dispossessory. Scott also reviews and drafts construction contracts, property leases and employment agreements, trains property managers in office, retail, multi-family, industrial and self-storage and evaluates property management operations in those areas. Scott also has extensive experience in creditors’ rights and bankruptcy proceedings as well as in commercial collections. He represents companies throughout the country in resolving their commercial disputes in state or federal courts and through Alternate Dispute Resolution. Scott obtained his undergraduate degree from Washington University in St. Louis in 1984 and his law degree from George Washington University in Washington, D.C in 1987. Jim Leach joined what became ISG (HBWIS) in 2005. He has been in the specialty insurance business for most of his career; with a concentration in residential construction for the last 15 years. In addition to providing legal and risk management advise to ISG policyholders on their various contracts and relationships for their asset protection, he also conducts seminars for builders [ where the builder typically receives continuing education credit, and the sponsoring HBA receives fees for the event; some events have had in excess of 100 attendees]. ISG has done at least 25 educational seminars in the last two years. He is also focused on business development, with an emphasis in the Southeast. Leach has a JD, with honors, from the Drake University School of law, and is admitted to the Bar in Iowa. He has an MBA in Finance; and a Masters Degree in Insurance, both from Georgia State University; coupled with an undergraduate degree from Duke University and an AS Degree from Gulf Coast College. 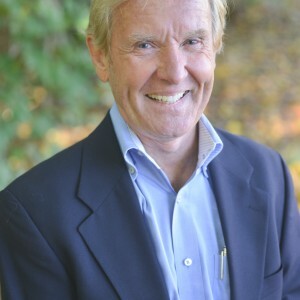 He holds the CPCU and CLU insurance designations; and is a licensed agent in Georgia. He flew the F-4E Fighter Jet in the Air Force, and is still an active commercial pilot and Flight Instructor. Does the threat of a lawsuit keep you awake at night? A subcontractor agreement that includes indemnification, waiver of subrogation, dispute resolution, etc. This program is the expanded, Georgia-specific version of the International Builders’ Show presentation by Atlanta attorneys Scott Zucker and James Leach. Scott and Jim bring decades of experience to this discussion of Georgia court cases and risk management techniques. Don’t pass up the opportunity to receive three hours of legal advice from two lawyers for the price of one seminar! For additional details and to register, please visit the Atlanta Home Builders Association event page.